1. How many Pizza Huts are there are in Italy? (There are over 900 in China). Take a guess – Italy has a population 10 times the size of Dalian – about 60 million people. Answer at the bottom of this page. 2. Is the pizza in the picture here burned? This is a pizza I had at Keste, which many consider New York’s best. Why is it blackened around the edge? We get many questions about this, because pizza at Pizza Hut or Papa John’s doesn’t look like that. 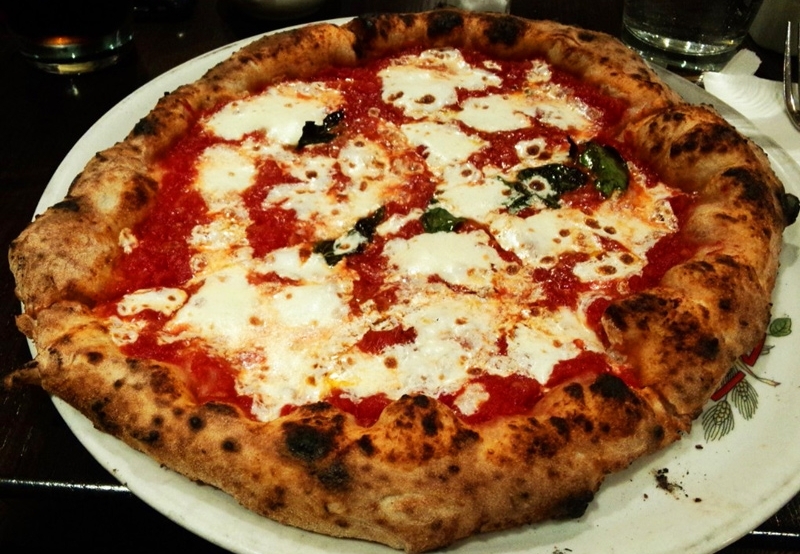 Answer: No, that Pizza is definitely NOT burned… it’s properly CHARRED – which is important for great pizza. So let’s talk about “char”. btw – Keste is located across the street from John’s Pizza, which has been a world pizza landmark since 1929. It’s still my favorite. Keste and John’s are one block from the house I grew up in.